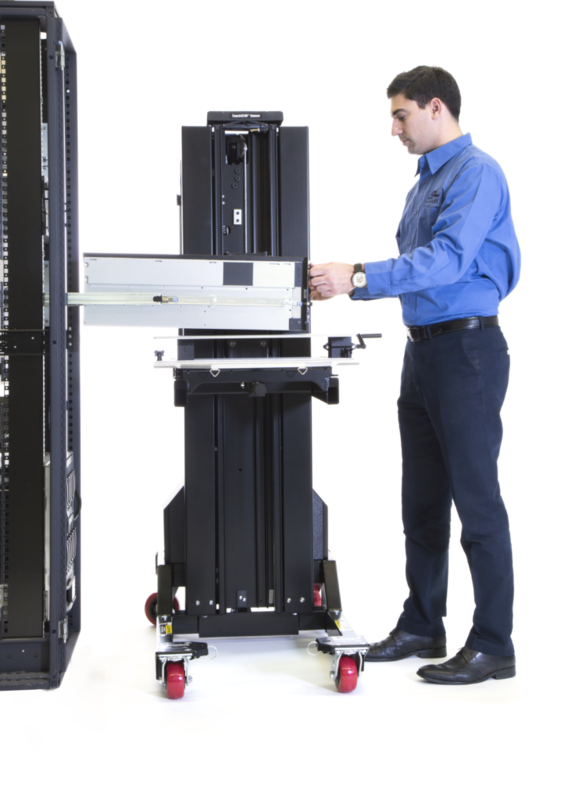 The RS-500X™ Rail Lift supports server equipment while giving the operator control over the angle of the server at all points of installation or removal from the rails. Capable of attaching to any ServerLIFT platform, the RS-500X can be used to easily tilt servers into slotted guard rails or keep them level for non-slotted, bolt-in installs. Many servers are designed to be installed into racks using extended slide rails. 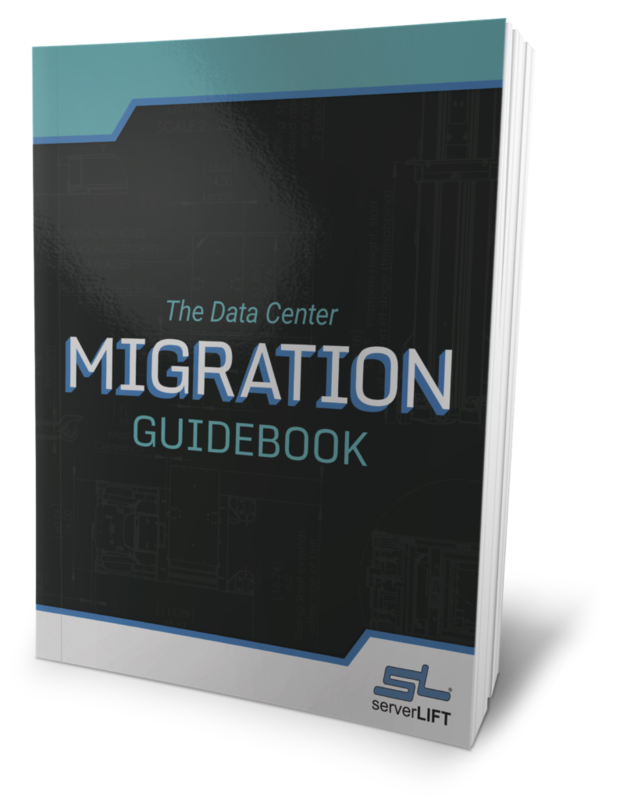 Often, the server comes with nail heads on its sides, which line up with and insert into J-shaped slots in the slide rails. Aligning these nail heads with the rail slots and guiding them into (or out of) the J-shape of the slot is awkward, tricky, and time-consuming. Doing this while supporting equipment that can range from 50 to hundreds of pounds is daunting—and dangerous. The RS-500X Rail Lift can be used to safely and securely support servers at an angle or perfectly level, making it simple and easy to perform all manner of rack-mounted installations or removals. 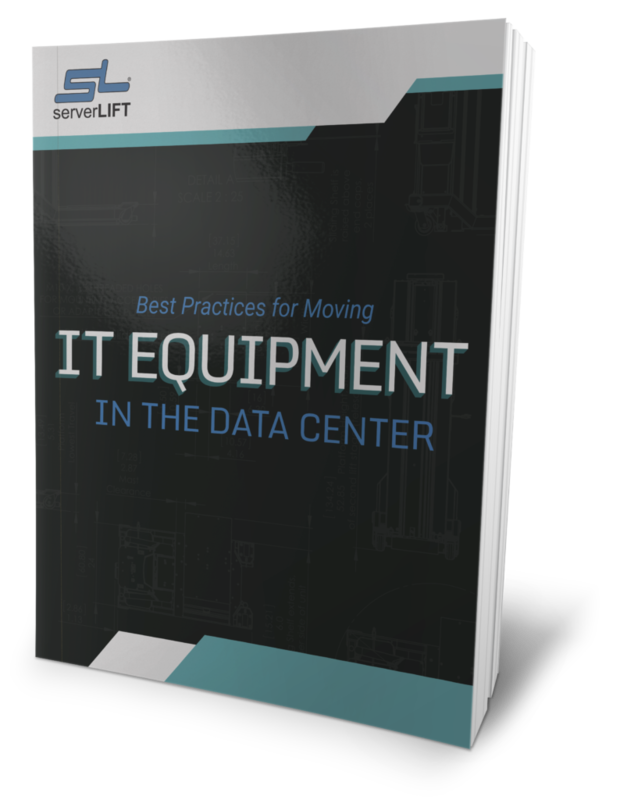 With the ServerLIFT RS-500X Rail Lift, no type of assisted install is out of reach for data center techs. 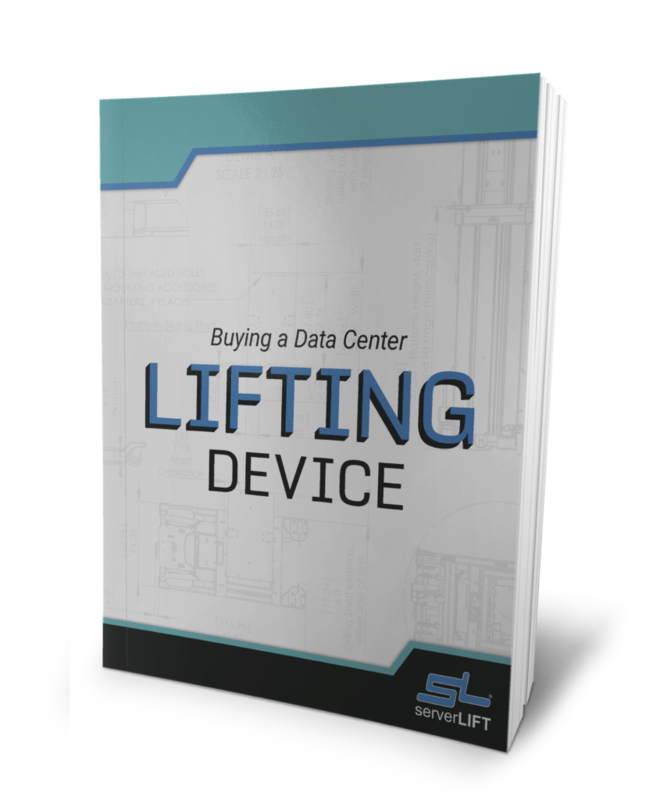 The ServerLIFT RS-500X Rail Lift is compatible with all our data center lifts: the ServerLIFT SL-350X®, SL-500X®, SL-500FX™, and SL-1000X® model units. 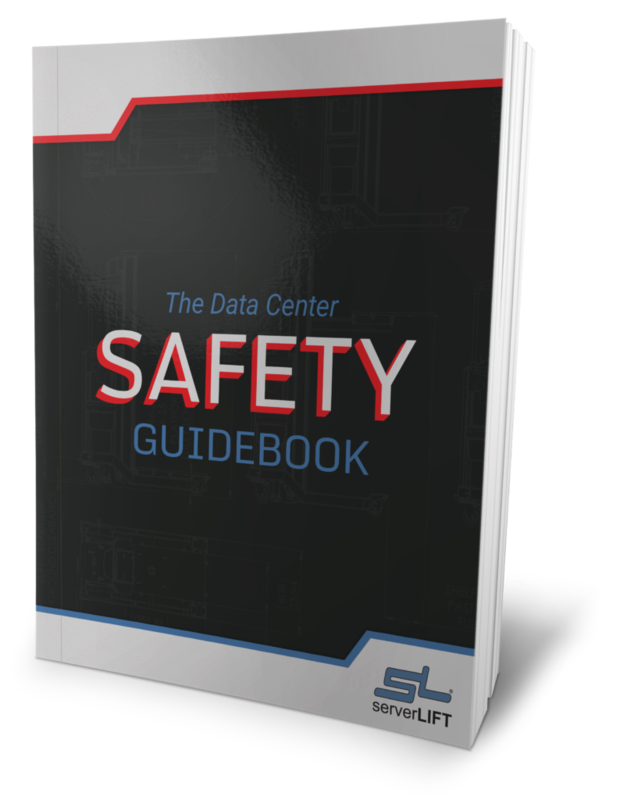 The RS-500X Rail Lift is designed intuitively with data center safety and efficiency in mind. 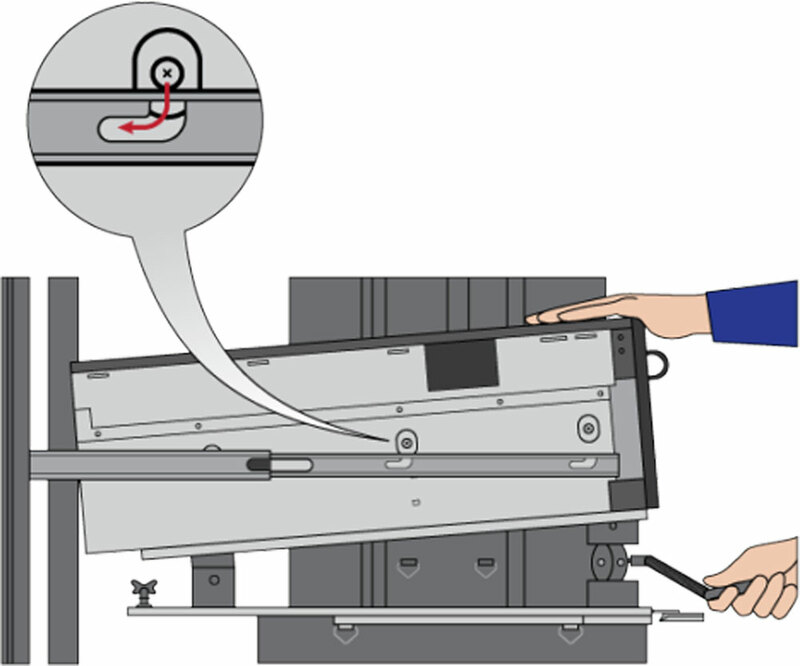 The RS-500X Rail Lift is backed by a worry-free, 30-day Money-Back Guarantee. 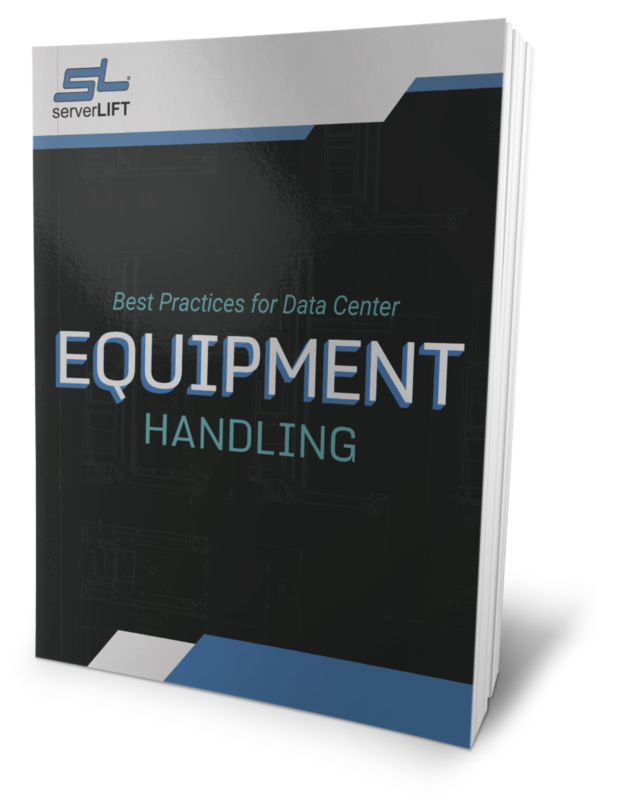 The LE-Series™ Lift Extensions assist with lifting heavy IT equipment off of pallets and out of boxes.